This process is similar to injection molding. It is to make the mold with sand. Sand mold casting needs to place the finished product part model or wooden model (appearance) in the sand, then fill the sand around the shape of the model. After taking out the model, the sand will form the casting mold. In order to remove the model before casting the metal, the mold should be made into two or more parts. In the mold making process, it is necessary to set aside the holes and vent holes for casting metal in the mold, and to synthesize the pouring system. After casting the metal liquid, the liquid will remain in place until the metal solidifies. After the parts are taken out, the mold is destroyed, so new molds must be made for each casting piece. 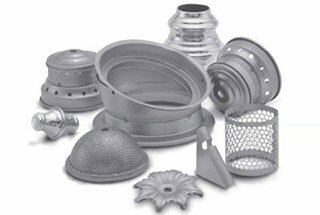 Also called lost wax casting, including wax injection, wax polishing, dip, dewaxing, casting liquid metal and post-treatment processes. Lost wax casting is a wax mold made of wax to be molded into parts, then coated with mud, which is loam mold. After the loam mold is dried, it is baked into the ceramic mold. Once roasting, the wax molds all melt away, leaving only the ceramic mold. The sprue gate is left when make loam mold. Pouring molten metal from the pouring nozzle. After cooling, the necessary parts are made. It is the forging method by using mold on special die forging equipment for blank forming. According to different equipment, die forging is divided into hammer die forging, crank press die forging, flat forging machine die forging, friction press die forging, etc. Roll forging is the plastic forming process of the required forging or forging stock for the material under the action of a pair of reverse rotating dies. It is a special form of forming rolling (longitudinal rolling). 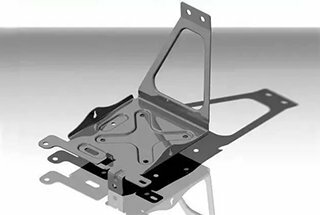 It is one kind of fabrication method by using forging press to exert pressure on metal billet so that it can produce plastic deformation to obtain a certain mechanical property, shapes and sizes. It is one of two components of stamping (forging and stamping). The microstructure is optimized by forging and eliminating defects such as loose casting in the smelting process. At the same time because of the preservation of the complete metal streamline, the mechanical properties of forgings are generally superior to casting parts with the same material. The parts under heavy load and severe working conditions in related machinery are mostly used forgings excerpt a simple form of the rolled sheet, profile or welding parts. Also called calendering, refers to the process of forming a metal ingot through a pair of rollers. If the temperature of the metal exceeds its recrystallization temperature, the process is called hot rolling, otherwise is called cold rolling. The calender is the most commonly used method for metal processing. The essence of pressure casting is under the effect of high pressure, the liquid or semi-liquid metal filling die casting mold cavity with high speed, and forming and solidification under pressure and get the casting parts. The casting method of filling liquid metal into casting mold and solidified into casting parts under the action of the low-pressure gas. The low-pressure casting was originally mainly used for the production of aluminum alloy castings, and further expanded its use to produce copper castings, iron castings and steel castings with a high melting point. The liquid metal is injected into the high-speed rotating casting model, and the metal liquid is filled with casting model to form casting parts under the action of centrifugal force. Depending on the casting shape, size and production volume, the casting model used in centrifugal casting can be made of non-metallic type (such as sand type, shell type or melting mold shell type), metal type or coating layer or resin sand layer in the metal model. It combines paraffin wax which similar to the size of the casting parts with foam model into is a model cluster. After painting and drying, it is buried in dry quartz sand and form the shape by vibration. Cast under negative pressure to vaporize the model. The liquid metal occupies the model position and solidifies to form the casting parts. The lost form casting is a new process which is nearly infinite and precise. The process requires no die, no parting surface and no sand core, so the casting has no flying edge, burr and draft angle, and reduce the size error caused by the model’s core combination. Also called liquid die forging. It is injected molten metal or semi-solid alloy directly into the exposed mold. The mold is then closed to produce the filling flow and get the outer shape of the piece. 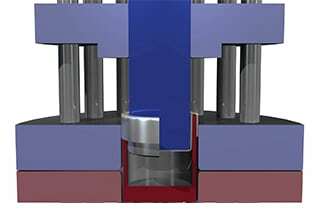 Then high pressure is applied to create a plastic deformation of the solidified metal (shell). 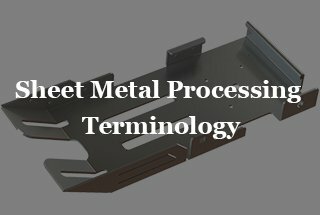 The unsolidified metal is subjected to static pressure, and at the same time, the high pressure solidifies, and finally the product or blank is obtained. The above method is direct extrusion casting. The molten metal or semi-solid alloy is injected into the sealed mold cavity by the punch and is subjected to high pressure. To make it crystallize solidification under pressure, and finally obtain the workpiece or blank. It’s a casting method by pouring the liquid metal at one end continuously through the crystallizer, and the molding material is pulled continuously from the other end. It is one plastic processing method which applies the external force to the front end of the pulled metal, and the metal billet is pulled out from the die hole of the blank section to obtain the corresponding shape and size of the product. It is also called cold drawn or cold drawn because it is carried out in a cold state. 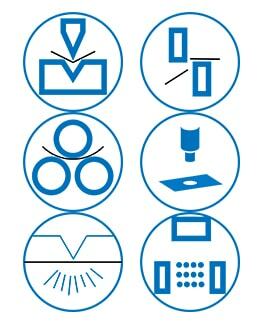 It is the forming of the workpiece (stamping parts) with the desired shape and size by applying an external force on the plate, strip, pipe and profile to produce plastic deformation or separation by pressing machine and die. It is a new kind of powder metallurgy near-net forming technology which is introduced from the plastic injection molding industry. It is well known that plastic injection molding technology is cheap to produce all kinds of complex shapes, but the plastic is not very strong. In order to improve its performance, metal or ceramic powders can be added to the plastic to obtain high strength and wear resistant products. In recent years, this idea has evolved to maximize the content of solid particles. In the subsequent sintering process, the binder is completely removed and the forming is densified. The new powder metallurgy method is called metal injection molding. The lathe processing is part of machining. Lathe machining mainly uses the lathe tool for turning the workpiece in the rotation. The lathe is mainly used for machining shaft, disc, sleeve and other workpieces with rotating surface. It is the most widely used machine tool processing in machine manufacturing and repair shop. Turning machining is the method of cutting the workpiece by using the workpiece relative to the tool rotation on the lathe. Cutting energy is mainly provided by the workpiece rather than the cutter. Turning is the most basic and the most common cutting processing method. It occupies a very important position in production. The turning is suitable for machining revolving surface. Most of the workpiece with the rotating surface can be machined by turning, such as the inner and outer cylinder, inner and outer cone face, end face, groove, thread and rotary forming surface. The tool used mainly is the lathe tool. Milling is to fix the blank, use the milling cutter with high speed to move the knife on the blank, and cut out the shape and characteristics which is needed. Traditional milling is used for milling contour and groove. NC milling machine can process complex shapes and features. Milling and boring machining center can be used for three-axis or multi-axis milling and boring processing, mainly for fabrication mold, inspection tools, placenta, thin wall complex curved surface, artificial prosthesis, blade and so on. The advantages and key functions of NC milling machine should be given full play when selecting NC milling. It is the machining method of cutting the workpiece with the planer tool in the horizontal linear reciprocating motion. It is mainly used for the contour machining of parts. The precision of planning is IT9~IT7, and the surface roughness Ra is 6.3 ~ 1.6um. Grinding refers to the process of removing excess material from the workpiece by abrasive materials and tools. Grinding is one of the most widely used machining methods. In a tank covered with metal powders, the computer controls a high-power carbon dioxide laser selectively scanning the surface of the metal powder. Where the laser goes, the surface of the metal is completely fused together, and the powder remains in powder state where it is not. The whole process takes place in a capsule filled with inert gas. Using infrared laser as energy, the molding materials used are mostly powder materials. The laser beam is selectively sintered according to the stratified section information under computer control. After one layer is finished, the next layer of sintering will be carried out. After the sintering is finished, the extra powder will be removed, and a sintered part can be obtained. At present, the mature process materials are waxy powder and plastic powder, and the sintering process is still under study with the metal powder or ceramic powder. It is similar to the “squeeze cream” type of molten deposit, but it is a metal powder that ejected. The nozzle will also provide high power laser and inert gas protection while extruding metal powder materials. This will not be limited by the size of the metal powder box, which will be able to directly produce larger volumes of components, and is also suitable for repair of locally damaged precision parts. The roll forming method uses a series of continuous frames to make the stainless steel into a complex shape. The roll type of each rack can deform the metal continuously until the desired final shape is obtained. If the part has a complex shape, it can be used up to 36 frames. For simple shapes, 3-4 frames will be enough. The die is used in the special die forging equipment to form a blank to obtain forgings. The forgings produced by this method are precise in size, small in machining allowance, complex in structure and high in productivity. It belongs to blanking technology. The preformed film is positioned on the punching male die, which removes excess material by compound die, retains the 3D shape of the product and match the mold cavity. It refers to blanking technology with cutting die. Position the thin film panel or line on the base plate and fix the die to the machine template mold, then use the power supplied by the machine to control the blade to cut off the material. What distinguishes it from the punching die is that the incision is smoother. At the same time through the cutting pressure, the deep and shallow adjustment can cut out the indentation, half – cut effect. Besides, the low-cost working of mold is more convenient, safe and fast. I really appreciate it that you mentioned that while mold cutting is basically blanking using a cutting die, the cuts it makes is smoother and faster. 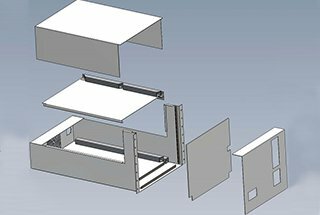 Should my dad go into a metal forming business, it would be good if he starts offering excellent mold cutting service first because it works best with pre-cut template molds that clients could provide. This would surely make easy profits because this is most the convenient and safest way to form metal for local industrial clients. Thank you for explaining this method well! Glad to know that this article can be helpful for your father’s business. We’ll keep posting good articles like this.